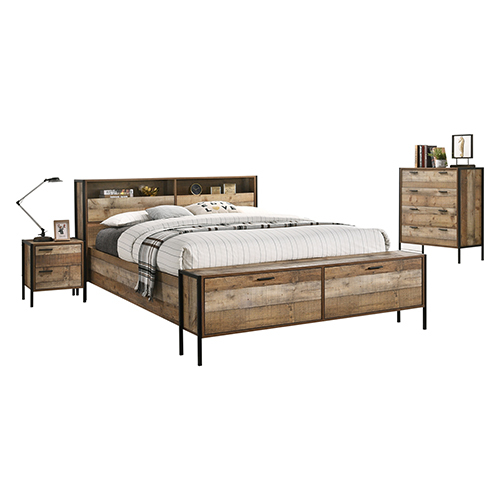 This stunning set is crafted from solid wood like particle board and comes in an oak finish. 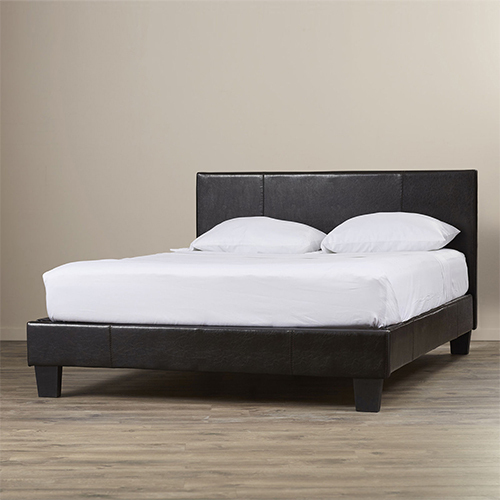 With its metal border line and elegant design, this queen size bed will be an attractive addition to any bedroom. 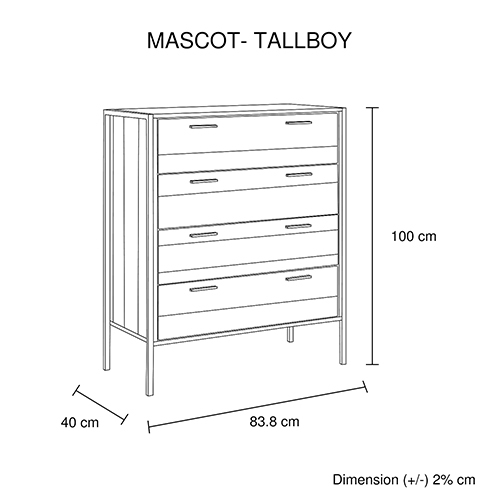 It can be easily coordinated with other pieces from the Mascot collection. 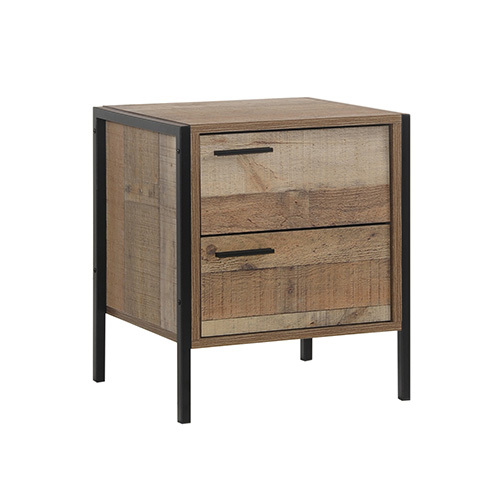 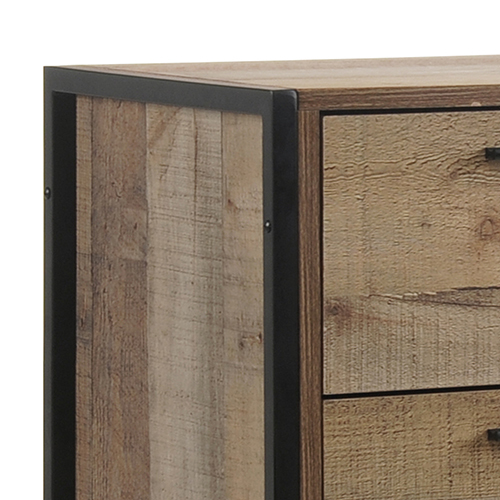 A matching bedside table, tallboy, coffee table and TV cabinet are available upon request. 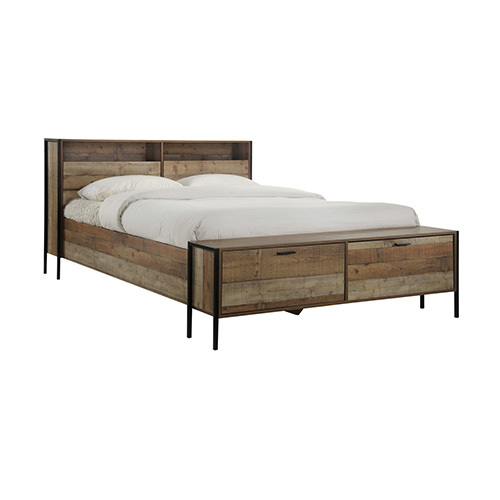 Complete this piece with your choice of mattresses (sold separately). 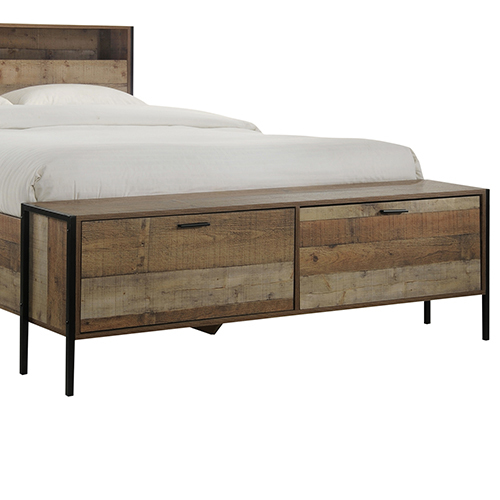 This bed has a great space saving option as it has added storage spacein its headboard and footboard. 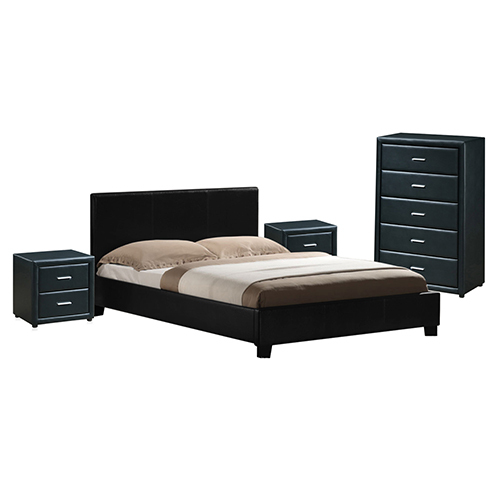 You can neatly arrange your staffs there and thus keep your bedroom clean and tidy. 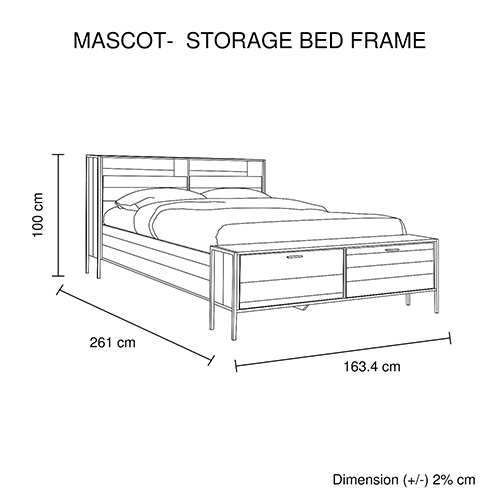 Mascot queen bed has a strong mattress base made of MDF. 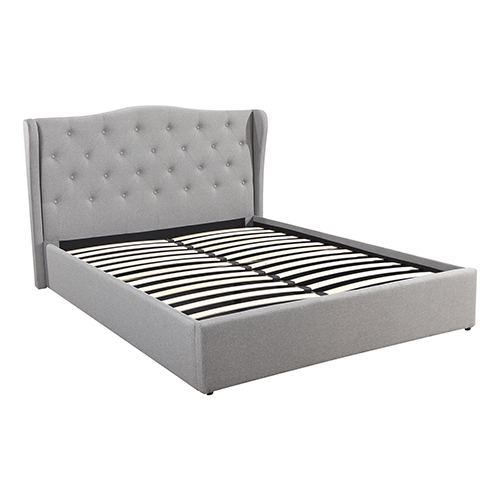 This feature would be best for those who want non-movable and sturdy base for their mattress. 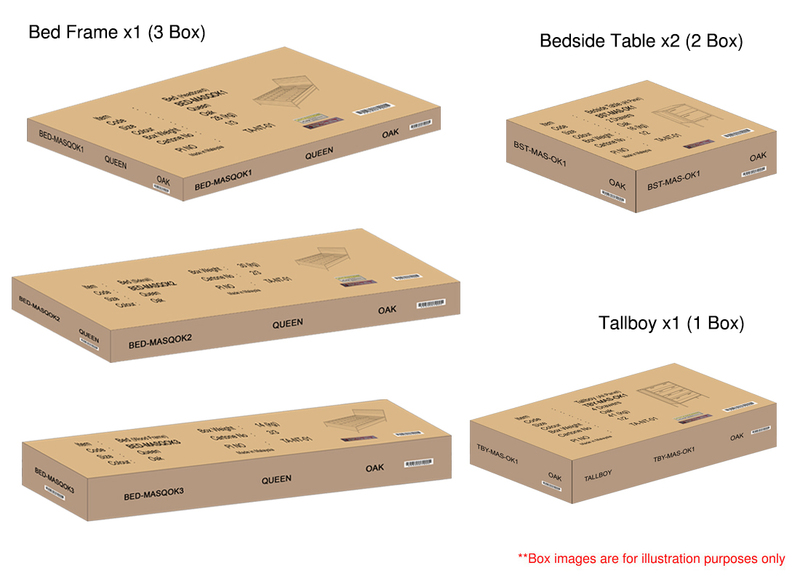 Extra board can be placed on the MDF base for added comfort. 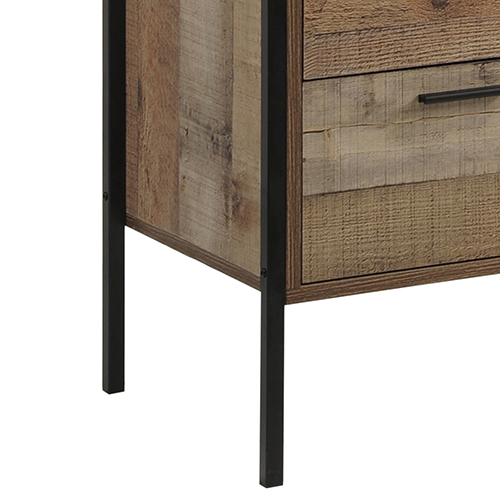 There is a metal border on both sides of the tallboy to offer a matching look with the metal handles. 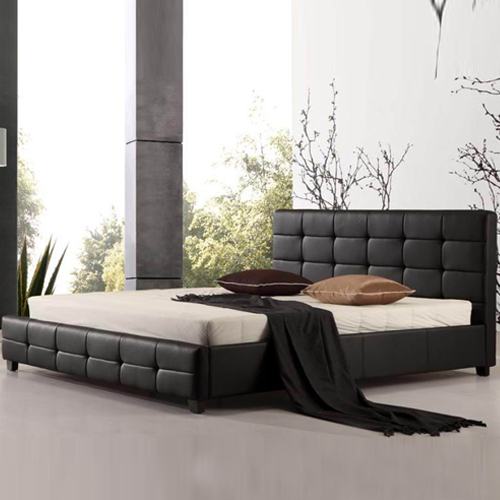 Nonetheless, black finish is given to it for creating an elegant appearance. 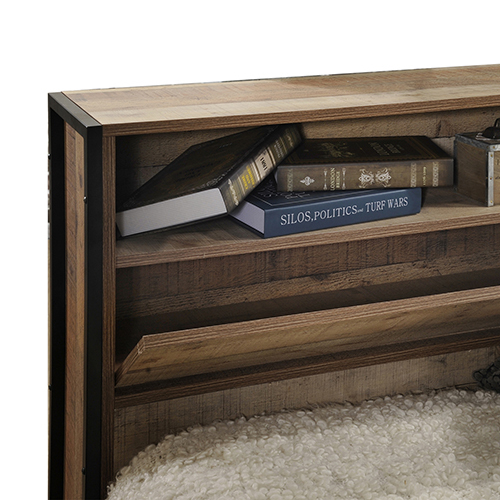 Melbournians Furniture is very much cautious when comes to the point of your and your children’s safety. 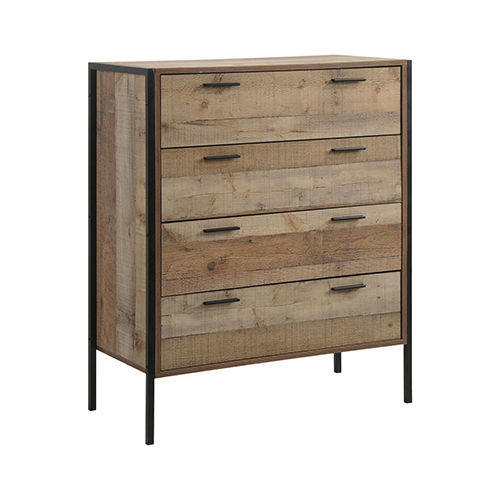 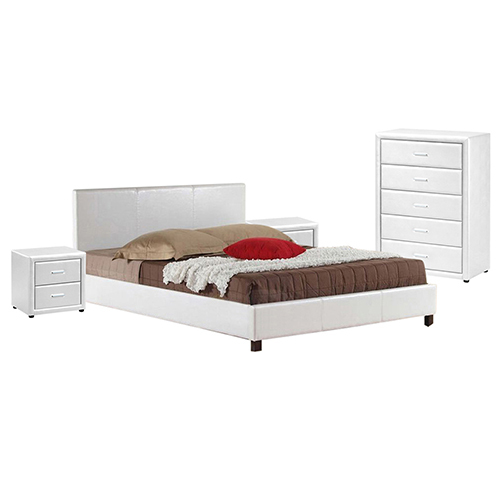 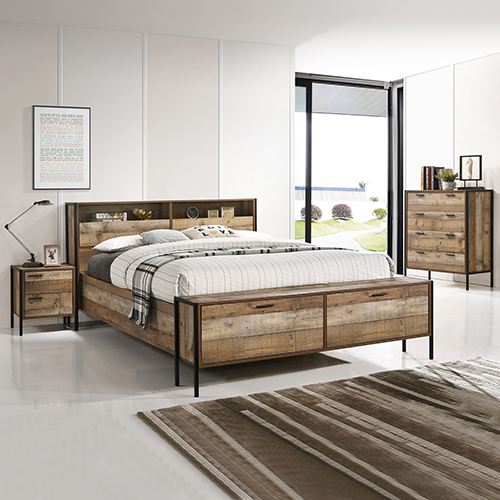 As you can see from the picture the tallboy has slim handles which makes it a tidy choice for your bedroom. 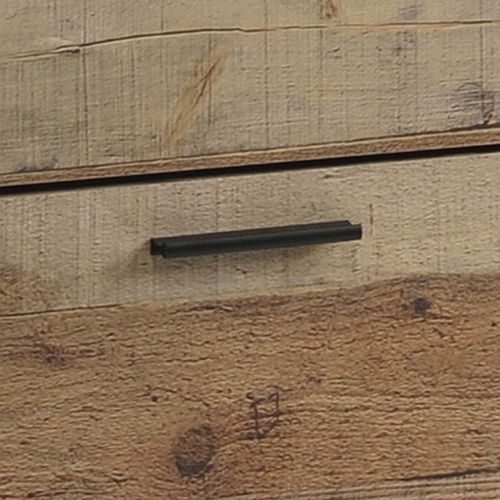 Moreover, the handle is very much slim so that you do not hurt yourself while walking beside it. 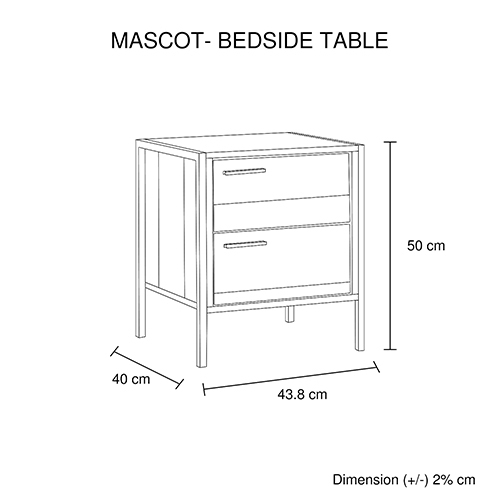 Mascot unit is elevated with strong metal legs which make it firm and sturdy. 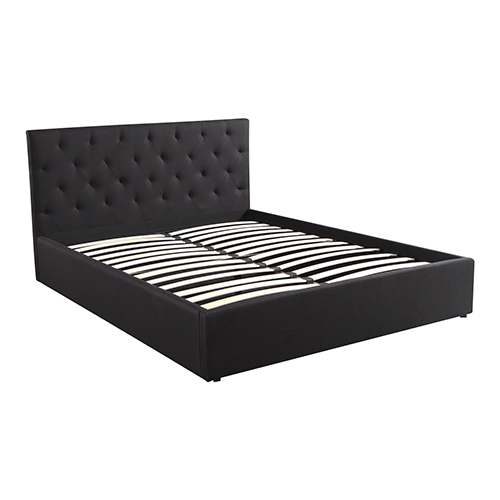 The item features a footboard with the same particle board used in other parts of the bed. 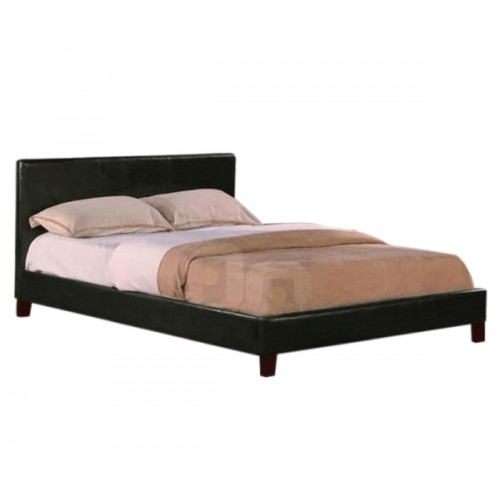 The bed's footboard and rails are given an attractive oak finish and a black border line.